Since the base warranty of our 6.7 drivetrains is 100k miles, the minimum amount of miles to post here will be 100,000 miles and the status of your high pressure fuel pump and injectors whether original or replaced due to failure. If some guys went out past 100k and didn't experience a failure but replaced the pump or injectors, post up. I'd like to see how far past 100k miles you went. While IMHO I believe that the problem of our CP4s may be higher than shown here as every owner is not a forum guy and there's a ton of 6.7 PSD trucks out there, I'd just like to see how many high mileage guys that had no problems are here. If there's mechanics here, which I know there is, if you would like to post up about CP4s failing and the R&R of same, post up the details please. On the flip side, if you are aware of a truck that has great luck with high miles, please post up. If I've forgotten anything here or if anyone else thinks of something, don't be shy...hit that ENTER button. 2014 6.7, 162K. Original HPFP and injectors. Use PM22 most of the time. Replace fuel filters about every 15K or so, and always prime pump with 6-8 key turns before starting after a fuel filter change. Nice. Keep doing what you are doing as it's working. Thanks for the tips. Just want to clarify the drivetrain/powertrain warranty on 11-16 trucks is 5 years or 60,000 miles whichever occurs first. The powerstroke diesel engine is covered for 5 years or 100,000 miles whichever occurs first. So when referring to drivetrain/powertrain we are talking about engine,transmission,transfer case, axles and driveshafts. 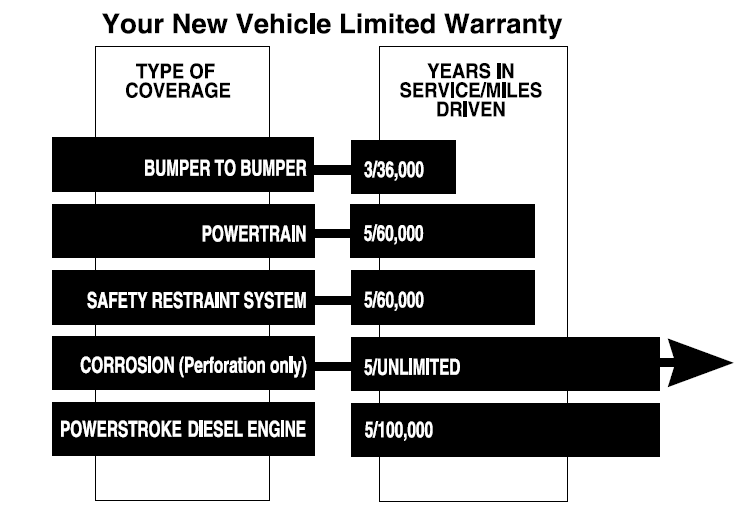 I know you are looking for information regarding parts covered under the powerstroke diesel engine warranty so no big deal but didn't want somebody to read into the above and think the transmission was covered under warranty for 100,000 miles. Subscribing because I think the CP4 failure rate is higher than we can see from this forum alone as well. 109,000 miles, original HPFP, replaced #5 injector. Use PM-22-A most of the time. Replace filters every other oil change (about 15k-16k) with 10+ key cycles. Since I'm already posting my allowed 100k info, I indirectly have knowledge with a 2013 DRW at work that picked up bad fuel at a truck stop, made it 10 miles from that stop and the HPFP had a come-a-part. $9,000 to repair. It had less than 40,000 miles and was fully customer pay (us). Doesn't insurance cover something like that? It's not the fault of the owner and was not due to negligence or modification. Maybe depends on the ins. Co? Thanks for the clarification. I've been corrected. Good info, Kper. Thanks for correcting me on the obvious 5 year OR 100k miles. The Federal regulations only require emissions systems warranty to be covered until 50k, but that's fine print i only recently learned from this Forum. I contacted Ford and they confirmed that to be the truth. They explained that if at 51k the DPF clogs and takes out the turbo, it's not covered under warranty. It's shady I think. Yes, folks have learned it depends on the insurance company. My '12 truck has 167k miles with original HPFP and injectors. If the dealership technician agrees that contaminated fuel caused the issue, I don't think any insurance company could deny the claim. It should be a covered loss under your comprehensive coverage. Problem is a lot of time the dealer knows that it was not "bad fuel" and rather a "bad design" so they refuse to provide a fuel sample or have a sample that is clean. x2 it's shady as ****. You run the gobernick mandated emissions equipment andd then you're SOL when it has a problem after 50k. The gov't should cover it because the gov't makes us run it. My 2 Lincolns. Thanks Troy. Original DPF and such? Anyone have personal knowledge of this?